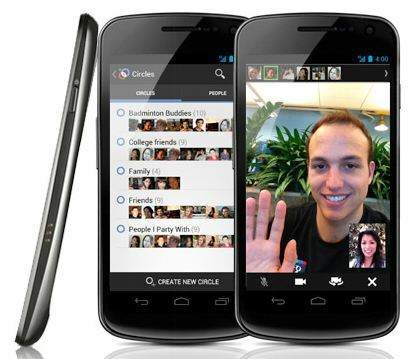 Google Galaxy Nexus is finally here, will you buy? It's the question I'm asking myself, so I pose it you. After countless launch day rumors, Verizon Wireless is finally offering the Google-branded Galaxy Nexus, the first Ice Cream Sandwich Android, to us poor dodos here in the United States. Seemingly everybody else in the world got it first, like Samsung Galaxy S II before it. Related is another question: Will you pay more now or pay less and wait? Verizon has Galaxy Nexus available right now for $299.99 -- a penny more than the comparable iPhone 4S, which is HSPA and not 4G LTE; you can walk into a store and get Galaxy Nexus into your greedy grubby hands right away. Fry's Electonics will sell you the smartphone for $219.99 online, with a 2-to-3 day wait, which just might make Christmas; I assume it's in stores today, for West Coasters seeking immediate gratification. AmazonWireless has the best price I've seen so far, $199 -- and that's with no tax. I went through the ordering process, but didn't buy, and got December 29 delivery date -- that's no Christmas for you, bud. Better pricing means waiting longer, and Verizon made you wait so long already. There's also option of waiting even longer for the Android 4.0 smartphone to pop up on another carrier. But there might not be LTE. Verizon turned on its LTE network in more cities today, with coverage now reaching 200 million Americans. AT&T offers LTE in 15 cities, promising to reach 70 million people by end of this month. My buddies back in Washington, DC see 20Mbps downstream or more on AT&T LTE. Some BetaNews readers report speeds approaching 40Mbps. I tested Verizon's network on XOOM LTE here in San Diego last night, consistently getting close to 18Mbps downstream. Waiting might get you faster bandwidth -- or you could pay $700 or more for an international unlocked phone (I wouldn't), which supports AT&T and T-Mobile HSPA+ networks. One question GSM phone geeks are sure to ask: "Can you do data and talk at the same time?" Since Verizon's CDMA network can't do it. I called a couple Verizon Wireless stores this morning asking that question. One customer rep answered: "For the 4G network, correct". iPhone 4S: 3.5-inch multitouch display with 960 x 640 resolution (800:1 contrast ratio); 800MHz dual-core processor; 512MB RAM; 16GB, 32GB or 64GB storage; GSM/HSPA; 8MP rear-facing and VGA front-facing cameras; LED flash; image stabilization; 1080p video recording; accelerometer; ambient-light sensor; gyroscope; GPS; proximity sensor; digital compass; Bluetooth; WiFi. Measurements: 115.2 x 58.6 x 9.3 mm, 140 grams. Galaxy Nexus: 4.65-inch multitouch display with 1280 x 720 resolution (100,000:1 contrast ratio); 1.2GHz dual-core processor; 1GB RAM; 32GB storage; CDMA/4G LTE; 5MP rear-facing and 1.3MP front-facing cameras; LED flash; zero shutter-lag; 1080p video recording; accelerometer; ambient-light sensor; barometer; gyroscope; GPS; proximity sensor; digital compass; Near-Field Communication (NFC); Bluetooth; WiFi. Measurements: 135.5 x 67.94 x 8.94 mm, 135 grams. Someone at Verizon should be fired -- and perhaps at Google, too -- for the late launch. The earliest rumors had the phone going on sale a month ago, which makes lots more sense because of iPhone 4S, Verizon skipping Galaxy S II and Christmas holidays. Somebody gave up weeks of sales on arguably one of the best, if not the very best, handsets available this holiday season. Three days ago I asked: "Are you tired of waiting for Galaxy Nexus? ", wondering who among BetaNews readers had given up waiting. "I couldn't wait and just got my iPhone yesterday, motta writes two days ago. "They dropped the ball on this one if you ask me. By the way the iPhone is ten times better than I thought it was going to be. Facetime rocks!" "I was planning to switch to Verizon for this phone", EWilliams1914 writes. "However, after the revelation of bloatware (even if it can be disabled), the Google wallet debacle, and the ridiculous wait, I finally just ordered one from the UK". DatBoyK: "Its gotten to the point where I've lost all my excitement for it. If I do get it it will be because there is just nothing else I wanted at the time. What a piss poor job they have done with this phone". The wait is over. Will you buy? Or have you already? Please answer in comments, and if you got Galaxy Nexus please share your first impressions, which will matter to other prospective buyers.